I am really into super simple meal ideas with cravable flavor pairings like today's simple entree recipe. 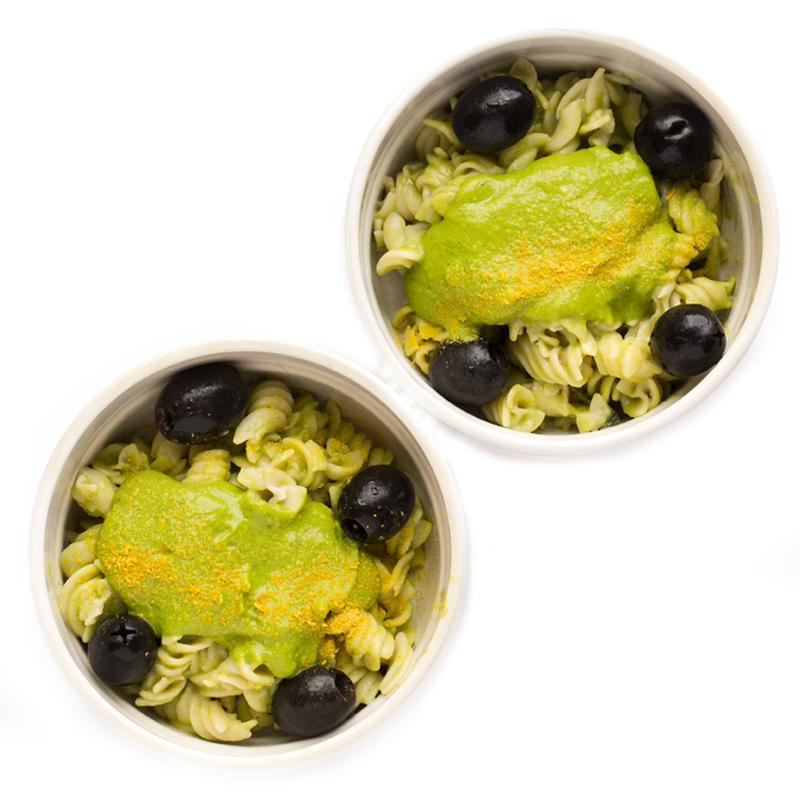 Today's recipe for Pesto Pasta with Black Olives is such a simple meal, but there is something so lovely about a creamy, nutty, fragrant fresh avocado pesto sauce combined with the sharp saltiness of black olives. I used a gluten free rice and potato based spiral pasta, that I purposefully overcooked a bit to make to pasta very soft and tender. Then I topped everything with a bit of nutritional yeast. You could also use a vegan Parmesan. I loved this simple dish so much that I plan on making it a comfort food recipe regular! Give it a try.. 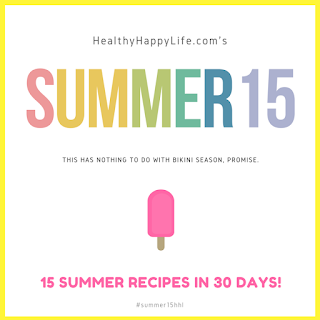 So this is recipe #14 for my summer 15 series! Tomorrow will be my final recipe before July and I am really happy that I completed my goal of 15 new recipes this month. Thank you for following along! If you have any other summer recipes you would love to see on the blog, as always, send them my way via comments, twitter, facebook, Instagram, email and more. I LOVE hearing from you guys! Oh, and how is this a summer recipe per say? Summer = simple. Boom. I guess it is a good sign when you make a recipe for dinner three nights in one week. That was this dish for me. Tonight, I paired this pesto pasta and olives with spicy, taco-sauce smothered Beyond Meat "chick'n" strips. I actually do not use fake meat very often in my cooking, these days, but once in a while I love it. It is so flavorful and easy and protein-packed. I especially love the Beyond Meat strips because they are gluten-free. They can be a bit tough, but that is why it is important to smother them in some yummy sauce, toss them in a casserole dish and let an oven bake them for 20 minutes or so, softening them and infusing saucey flavor. But anywayyyyyys... Totally got off track there. Sorry. Onto this simple dish that I love and hope you do too! 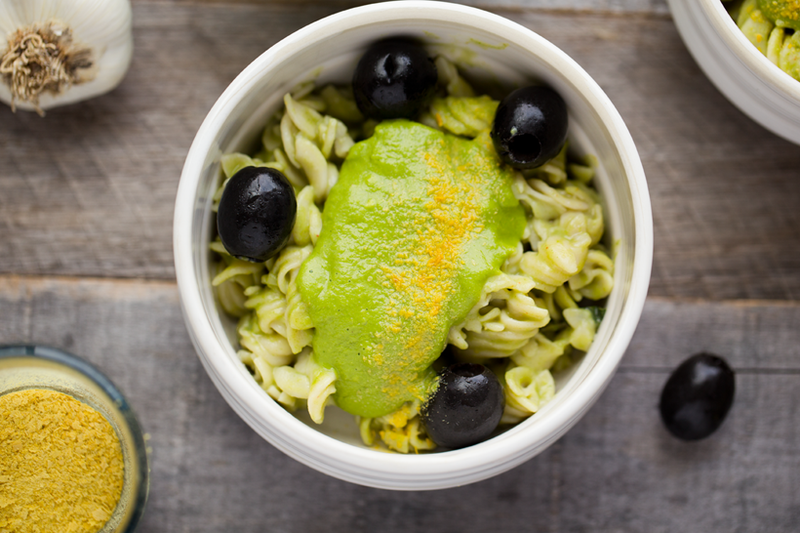 Creamy pesto pasta is accented with salty black olives and a hint of vegan cheesiness from nutritional yeast. Fill a large soup pot with salted water and add the pasta. Cook until very tender. I overcooked mine by about 5 minutes for extra soft and plumped up pasta. Drain pasta - reserving about 1 1/2 cups for the pesto sauce. 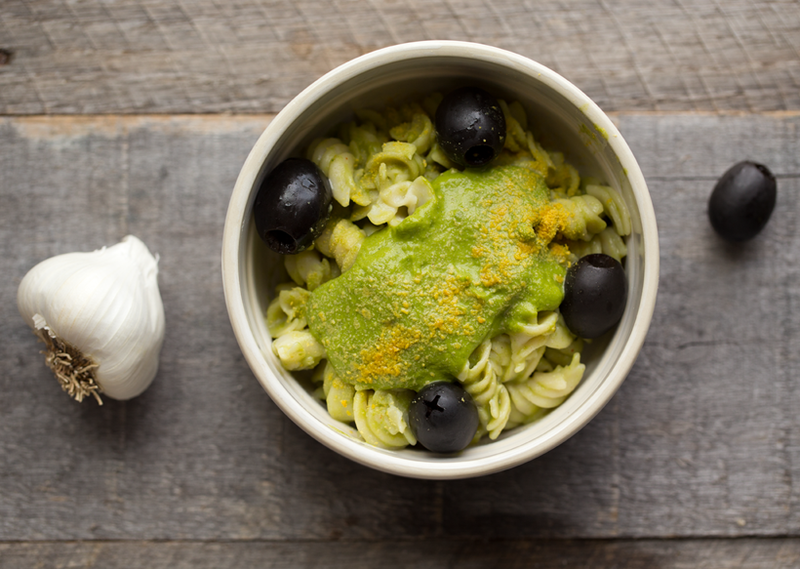 Using a blender, blend up your pesto sauce. 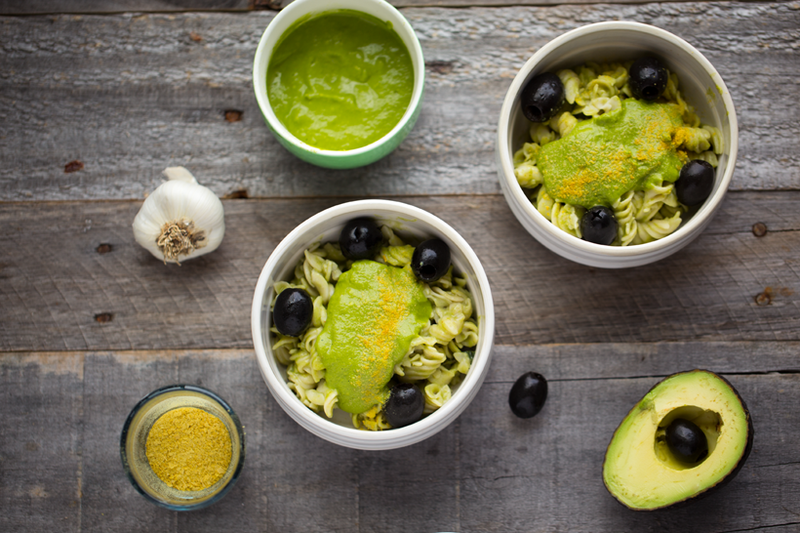 You can either use a high speed blender and blend on high for 2-3 minutes to warm up the sauce, or after blending it, simmer it in a soup pot over low heat for 5-10 minutes to warm up before adding to pasta. 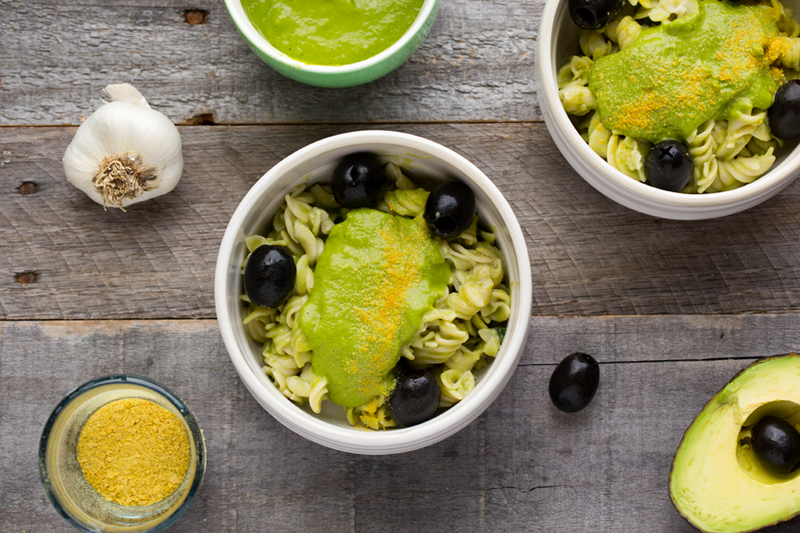 Toss the pasta with the pesto and add to serving bowls. 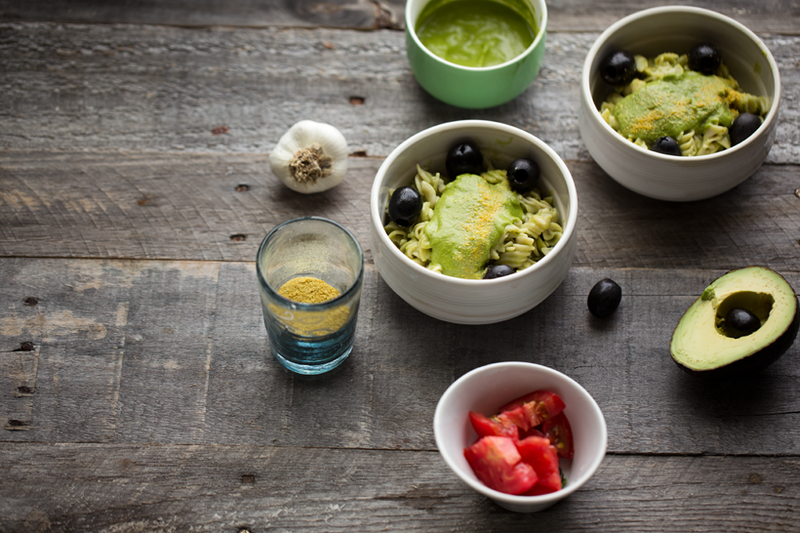 Garnish each bowl with 4-5 olives and 1 tsp nutritional yeast on top. This is recipe #14 in the Summer 15!..